As aquaculture production continues to grow and develop there is a continuous search for new species to culture to be able to fully exploit new national and international markets. Species selection for aquaculture development often poses an enormous challenge for decision makers who must decide which species and culture technologies to support with public resources, and then how best to divide those resources. 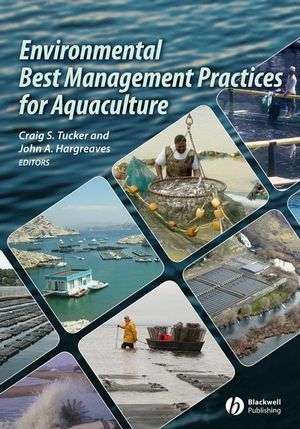 Species and System Selection for Sustainable Aquaculture brings together contributions from international experts with experience in identifying potential species and production systems for sustainable aquaculture with a socioeconomic focus. The book is divided into three sections: Principles, Practices, and Species-Specific Public Policy for Sustainable Development. An outgrowth of a workshop held as part of the Aquaculture Interchange Program with examples from around the globe carefully edited by PingSun Leung, Pat O'Bryen, and Cheng-Sheng Lee this volume will be an important reference for all researchers, professionals, economists, and policy-makers involved in selecting new species for the development of sustainable aquaculture. PingSun Leung is a Professor at the College of Tropical Agriculture and Human Resources at the University of Hawaii, Manoa. Cheng-Sheng Lee is the Director of Aquaculture Interchange Program at the Oceanic Institute in Waimanalo, Hawaii. Patricia J. O'Bryen is a Project Manager at the Oceanic Institute in Waimanalo, Hawaii. 1. Introduction: PingSun Leung, Cheng-Sheng Lee, and Patricia J. O’Bryen. 2. Sustainable Aquaculture: What Does It Mean and how Do We Get there? : James L. Anderson. 3. Policies and the Role of Government in Achieving Aquaculture Development: Colin E. Nash and William T. Fairgrieve. 4. A Review of Comparative Advantage Assessment Approaches in Relation to Aquaculture Development: Junning Cai and PingSun Leung. 5. The Environment and the Selection of Aquaculture Species and Systems: An Economic Analysis: Clem Tisdell. 6. Investment and Farm Modeling: Carole R. Engle. 7. 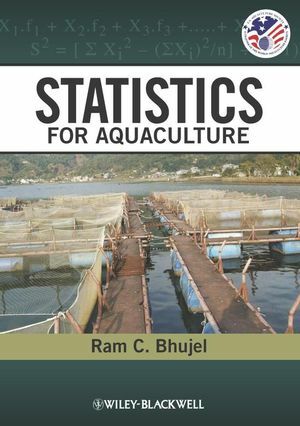 The Role of Species and Systems in the Development and Growth of Aquaculture in Asia: Needs and Prospects: Mahfuzuddin Ahmed, Madan Mohan Dey, and Yolanda T. Garcia. 8. Aquaculture in Africa: Reasons for Failures and Ingredients for Success: Nathanael Hishamunda. 9. Aquaculture in the U.S. Affiliated Pacific Islands: A Case Study of Robert Reimers Enterprises: C.L. Cheshire. 10. Aquaculture in China: Xiang-guo Zhang. 11. Achievements and Problems of Aquaculture in Japan: Masahiko Ariji, Yoshihito Senda, and Atsushi Takahara. 12. Taiwanese Aquaculture at the Crossroad: I Chiu Liao and Nai-Hsien Chao. 13. The Evolutionary Role of Federal Policies and Actions to Support the Sustainable Development of Aquaculture in the United States: Gary L. Jensen. 14. Hawaii Aquaculture Development: Twenty-Five Years and Counting, Lessons Learned: John S. Corbin. 15. Socioeconomic Aspects of Species and System Selection for Sustainable Aquaculture Development in Mexico: Historic Overview and Current General Trends: Francisco J. Martinez-Cordero. Section 3: Species-Specific Public Policy for Sustainable Development. 16. Public Policies for Sustainable Development of Shrimp Aquaculture in Taiwan: David S. Liao. 17. Shrimp Culture and Public Policy for Sustainable Development in Thailand: Ruangrai Tokrisna. 18. Development Trends and Future Prospects of Shrimp Culture in China: Weimin Miao and Yongming Yuan. 19. The Development and Sustainability of Shrimp Culture in Viet Nam: Quyen Le Cao. 20. Sustainable Development of Eel Aquaculture Industries in Taiwan and Mainland China: Yu-Hui Chen, Wu-Chang Lee, and I Chiu Liao. 21. Species-Specific Public Policy for Sustainable Development: The U.S. Catfish Industry: Carole R. Engle. 22. Issues Related to Sustainable Farming of Catfish (Pangasius spp.) in Viet Nam: Le Xuan Sinh. 23. Public Policy for Sustainable Development of Milkfish (Chanos chanos) Aquaculture in Indonesia: Ketut Sugama. 24. 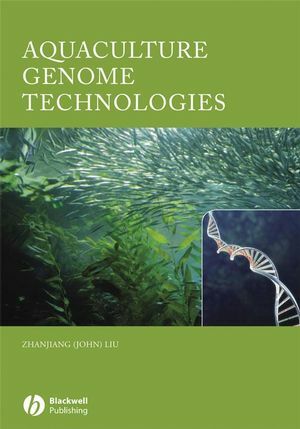 Genetics-Based Technologies for Sustainable Development in Philippine Aquaculture: The Case of Tilapia: Ruben C. Sevilleja. 25. The Carp Farming Industry in China – An Overview: Weimin Miao and Xinhua Yuan. 26. Carp Farming in Central and Eastern Europe and a Case Study in Multifunctional Aquaculture: Istvan Szücs, Laszlo Stundi, and Laszlo Váradi. 27. Salmon Farming Development in Chile: History, Policies, and Development Strategies: Carlos F. Wurmann. 28. Evaluation of the Sea Bass and Sea Bream Industry in the Mediterranean, with Emphasis on Turkey: Ferit Rad. 29. Public Policy for Sustainable Grouper Aquaculture Development in Southeast Asia: Robert Pomeroy. 30. 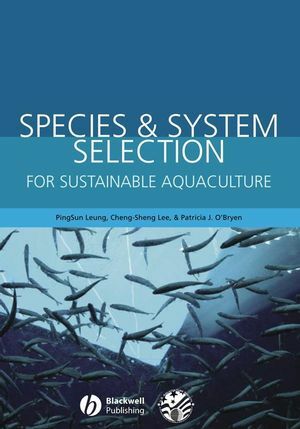 Discussion Summary: “Socioeconomic Aspects of Species and Systems Selection for Sustainable Aquaculture”: Patricia J. O’Bryen and Cheng-Sheng Lee. "The book is traditional proceedings fare, with a mix of overview articles and experience papers covering a range of topics. The book has a socioeconomic focus, but it can be read by those with little or no formal training in social sciences. The authors have avoided intrusive use of economics and social science jargon and this makes the content accessible to a relatively wide readership. To conclude; this book provides accessible coverage of, and some useful insights into, the factors that should be considered when evaluating species and systems for acquaculture development." "The book has a socioeconomic focus, but it can be read by those with little or no formal training in social sciences."